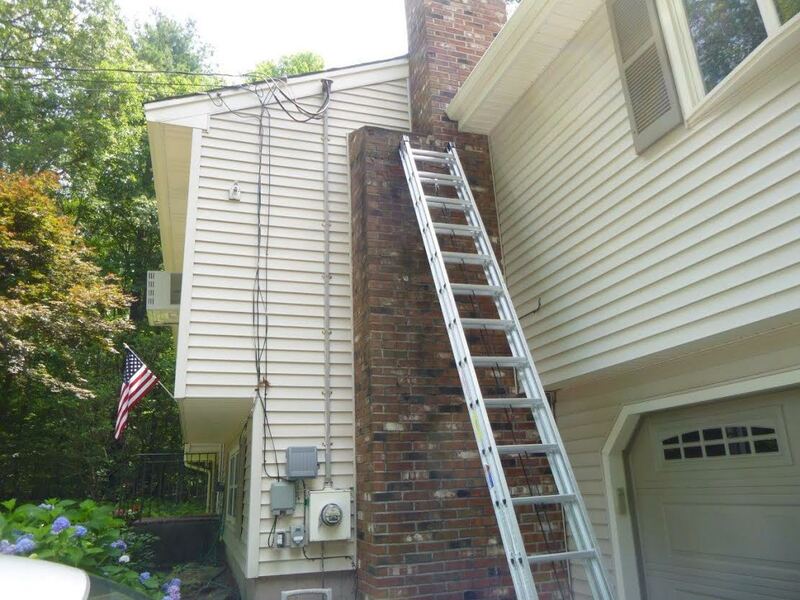 A Coventry, CT customer called to have an area of their chimney pointed, as was recommended from a contractor friend. Pointing is an often misused term from non-chimney professionals. 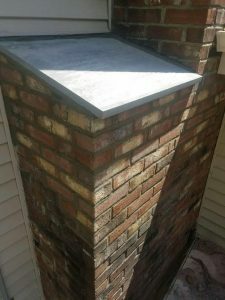 This chimney had broken brick, broken masonry shoulder cover and it had in past had some sort of pointing repair to the mortar done to it, which didn’t protect the chimney or repel water at all. The shoulder is the area where the chimney is stepped out to accommodate the size of a fireplace. 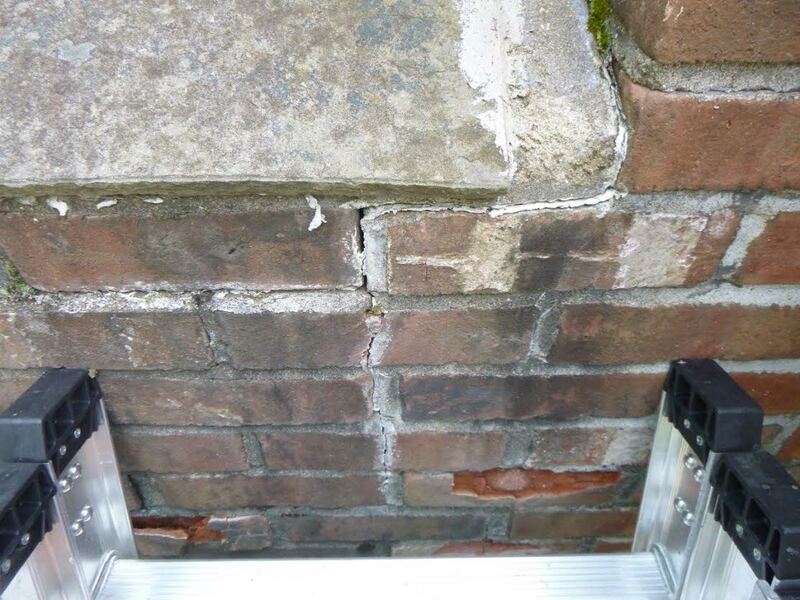 It often deteriorates at a faster rate due to water pouring and pooling on it. 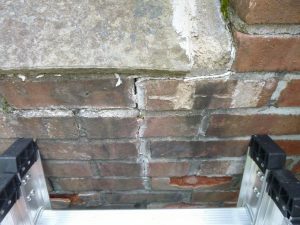 successful repair, done the right way, at a reasonable price.